“I was broke. I was a student and I published Milk and Honey with like zero dollars ‘cause I was able to design, write and edit all of it. This is what I did when I was supposed to be studying for all of my exams,” said the bestselling, 25-year-old poet, Rupi Kaur, in a recent interview with Jimmy Fallon. Kaur’s friends and family were encouraging her to become a lawyer and tried to convince her to abandon her aspiration to publish her poems. Now she is telling her story about publishing poetry to a 2.5-million audience on American television. Nothing shows poetry’s popularity better than Kaur’s appearance on late night TV. The genre is flourishing; it’s more popular than it has been in the last twenty years. So, if you want to publish your volume of poems the time is now! In this article, we’ll go over the recent publishing trends in poetry and then tell you how to publish the words that will inspire readers for a long time. How big is the poetry market? According to Nielsen BookScan in Britain, poetry sales went up by 15% in 2017 (compared to 2016), selling 611 990 volumes for 5.5 million GBP. Meanwhile, in the US, a 21% growth in poetry sales occurred between 2015 and 2017, making poetry one of the fastest growing genres in the publishing industry. There are even more surprises. 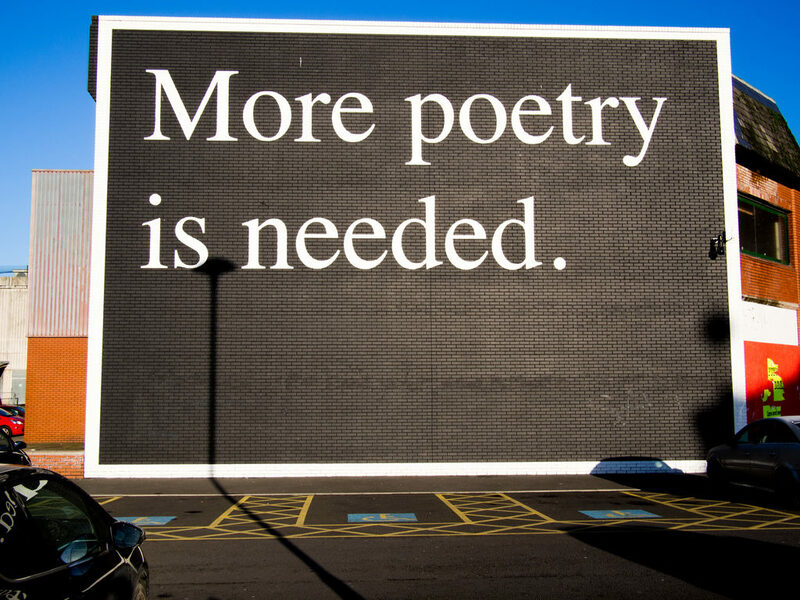 Last year almost 12% of the American population read poetry according to the National Endowment for Art’s research, a staggering number of 28 million people. This data is especially surprising if you think about the fact that a quarter of Americans (24%, 78 million people) admittedly has not read a whole book, in any format, in the past 12 months. There has also been a major boost in the number of women, people of color and rural audiences among the followers of the genre. Almost twice as many women and people from non-metro areas, and three times as many African-Americans and Asian-Americans read poetry in 2017 than in 2012. But what caused the reinvigoration of the genre? And why does today’s poetry attract this audience? What kind of poems do people read today and how do they read them? In July, Emma Watson’s global book club, Our Shared Shelf (counting more than 200 000 members on Goodreads.com), is reading Rupi Kaur’s much acclaimed, controversial, Amazon and New York Times bestseller Milk and Honey. As Watson hints social media, notably Instagram is the form that allowed today’s poets to easily share their work and find the suitable and loyal following for their poems. Kaur and fellow trending poets r.h. Sin, Amanda Lovelace, Atticus, Nayirrah Waheed, and R.M. Drake all started their writing careers on social media and self-published their first volume of poetry. How did poetry suddenly become so “hot”? Addressing Social Issues – While focusing on different themes all of these poets address social issues and empower the disenfranchised. Short verses written by Insta Poets, as they are called by many, have been used on multiple occasions to further social change either by sharing them on social media to raise awareness, or written on banners at protests. These short texts fit well into our 21st-century reading habits. Short poems are easily digestible as you do not even have to scroll down to read a whole verse and they are highly shareable. As a result, a higher number of people read poems on their phones as ever. Five years ago at Poets.org, only 19% of readers were scrolling on their phones to get their daily supply of poetry. Now, this number is more than 40%. After looking at the poetry market as a whole, let’s look at how self-published poets made their first volumes and how can you follow in their footsteps. Amanda Lovelace made history in 2016 when her self-published book the princess saves herself in this one won GoodReads Choice Award. In that year she was the only self-published author winning an award (out of 400 nominees), and in that month alone the book was shelved (chosen as to-be-read, or favorite in a category on Goodreads) by readers 2800 times. Now, this number has risen to 80 149 in the to-be-read section and thousands more in other categories. Use multiple websites and post to all of them to try which one fits your style the best. Do not be afraid to try out new websites and new formats. Websites come and go out of style. Two years ago Tumblr was all the rage; now it’s Instagram’s time. Moreover, each of these sites provides different formats to share your poems. Experiment to learn which one suits you the best. Post frequently. We cannot stress this enough. Whether it is your poetry that you are sharing or some snippets of your writing life these posts will pave the way to gather loyal readers and friends in the online literary community. Additionally, as your Instagram reach is infinite, an illustrator might fall in love with your verse and offer designs to accompany your poems. With the help of an illustrator, both the poems you share online and the cover of your future volume of poetry will attract a bigger audience. However, even though Instagram is the site where most poets post at this point, the site itself does not do the form justice. You cannot share poems without turning them into a picture first. This might become exhausting after a while. Additionally, the images become the art itself, enhancing the meaning of the poems themselves. This might be an advantage or a disadvantage for some. Also, if you are still in the early stages of your writing career and you would like the opinion of others to guide you further on your path, Instagram is not the platform to get real feedback on your work. People will tag your poems and might write a few words on how they made them feel, but do not expect to hear elaborate commentary under the shared picture. If you want to experiment with the visual representation of your poems, this is the site for you. It is a unique platform for daring poets who are open to new formats. Commaful is a friendly community, but it has a smaller reach than most of the other sites. When opening HelloPoetry you might feel as though you are flipping through an anthology of poetry with a modern flare. You can only join this community via invitation, which in turn keeps it a smaller but professional site. Aside from sharing your own work, you can browse through your influencers’ poems and post them on your profile page, as verse from such literary giants as Emily Dickinson, ee cummings or Langston Hughes can also be found on the site. If you would like to have long discussions with fellow poets about style, inspiration, and get constructive feedback, apply for an invitation today! While it may not have the reach as many of the other websites on this list, you can get candid feedback on your poems on AllPoetry. Here you’ll be able to join writing contests as well as online courses to better your writing style. This site is highly recommended for poets who are just starting out on their writing journey. There are quite the number of writing communities on Goodreads, but we would especially recommend you to try out ¡POETRY!. The group runs a poetry contest every month. The winning poem is not only featured on the Goodreads Blog, but put into the monthly Goodreads Newsletter received by 30 million people! Keep writing. And writing. And writing. Once you’ve started to share your poems on every site possible, there’ll be a moment when you have enough to gather them into a volume. How many poems should you have to start to think about publishing them in a book? Imagine, how many more poems these poets had so that they could select 150+ poems in an edited volume. whether you’d like to separate your volume into parts or you’d like the poems to flow after one another without a break. After deciding for all of these points, you’ll see that not all of your existing poems will fit into your chosen theme and the overarching story of the collection. But do not throw those poems out that did not make it into this volume. You can use them to promote your book or put them into your next collection. In the case of poetry collections, nothing could be more important than how you arrange your poems on the page. Especially in the case of short poems, each word you put on paper needs to make a powerful impact emotionally. For that to happen, you have to leave enough room for each poem to breath. It is generally recommended, therefore, not to have more than one poem on each page of your collection. Also, you can play around with making shapes out of the words creating an extra layer of meaning to your work and leaving a strong visual impression in your reader. In the case of poetry, not only your cover design but illustrations within the book itself are very welcome by the reading audience. Many of today’s poets include their own designs or collaborate with an illustrator. It is extremely hard, if not impossible, to force the hand of an illustrator to divert from their design style so if you choose to work with an illustrator make sure that their style matches your own. Also, make sure that the same person who makes the illustrations in your book does the cover for your book as well. You do not want to confuse your readers with different styles outside and inside of your book. If you’d like to include illustrations in your book and you do not want to make them yourself, these are your best options to find an illustrator. Ask around your writing group whether someone can recommend you one. Go on social media and search for #illustrator. Of course, you might not want to include drawings in your poetry collection, which is fine. In which case you only have to find, or make the best cover for your book. Check out our post on How to Create a Book Cover For Free. Once you have a nice amount of followers on social media, you have collected and edited your poems and created a nice layout for the volume; you have to decide on how to sell your collection. Now, this is essential in the case of every genre of writing but no more so than in publishing poetry. Where do people look when they search for poetry volumes? As readers might not be ready to buy poetry collections as ebooks without knowing the author, they would like samples or want to flip through the collection itself. Therefore, it is recommended to put your book of poetry on subscription-based programs as Kindle Unlimited or Scribd where they do not feel that they’ve paid in advance to get to know your style. Kindle Unlimited: Putting their work into the Kindle Unlimited Program helped authors such as Amanda Lovelace or Nayyirah Waheed to really take off and get noticed by readers. KU is open for self-published authors, but participating in the program requires exclusivity on Amazon. Scribd: As readers might not be ready to purchase your book of poetry, they could be more than ready to flip through your volume as Scribd subscribers. If you go on Scribd, you’ll notice that almost every best-selling poetry book is available there as well (including traditionally published books), which is not the case for fiction. Scribd currently does not allow indie authors to directly publish their work on their platform, but you can distribute your books to Scribd by going through a distributor, like PublishDrive. Ready to publish your poetry? Take the next step! Once you’ve edited your poetry manuscript, designed a cover, and you’re ready to take the next step, consider publishing your work through PublishDrive. We can publish and distribute your poetry to over 400 online stores, including Amazon, Google Play Books, Apple Books, Barnes & Noble, Kobo, and more. With free ebook conversion and a built-in marketing suite, we can help you every step of the way.